ST. LOUIS: Genetics researchers at Washington University, one of the world's leading centres for work on the human genome, were devastated. Dr Lukas Wartman, a young, talented and beloved colleague, had the very cancer he had devoted his career to studying. He was deteriorating fast. No known treatment could save him. 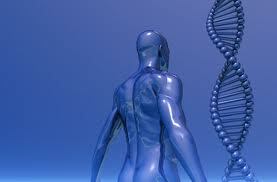 And no one, to their knowledge, had ever investigated the complete genetic makeup of a cancer like his. So one day last July, Dr Timothy Ley, associate director of the university's genome institute, summoned his team. Why not throw everything we have at seeing if we can find a rogue gene spurring Dr Wartman's cancer, adult acute lymphoblastic leukemia, he asked? "It's now or never," he recalled telling them. "We will only get one shot." Ley's team tried a type of analysis that they had never done before. They fully sequenced the genes of both his cancer cells and healthy cells for comparison, and at the same time analyzed his RNA, a close chemical cousin to DNA, for clues to what his genes were doing. And they found a culprit — a normal gene that was in overdrive, churning out huge amounts of a protein that appeared to be spurring the cancer's growth. Even better, there was a promising new drug that might shut down the malfunctioning gene — a drug that had been tested and approved only for advanced kidney cancer. Dr Wartman became the first person ever to take it for leukemia. And now, against all odds, his cancer is in remission and has been since last fall. While no one can say that Dr Wartman is cured, after facing certain death last fall, he is alive and doing well. Dr Wartman is a pioneer in a new approach to stopping cancer. What is important, researchers say, is the genes that drive a cancer, not the tissue or organ — liver or brain, bone marrow, blood or colon — where the cancer originates.